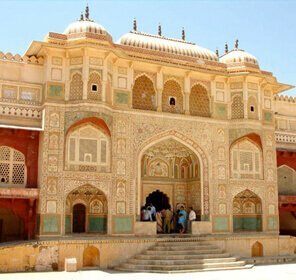 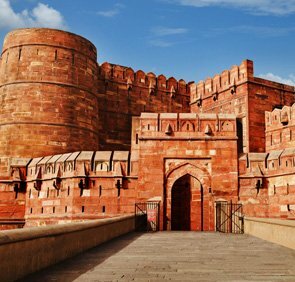 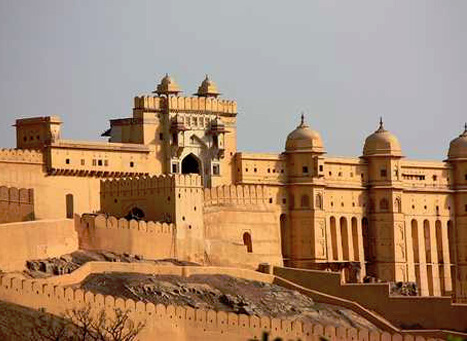 Amber Palace aka Amber Fort was constructed in 1592 AD by Raja Man Singh, the Rajput commander of Akbar's army. 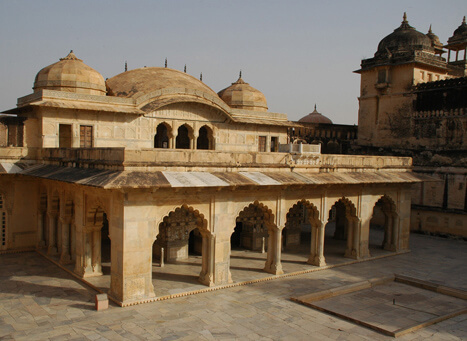 Later it was expanded and renovated by Raja Jai Sigh I. 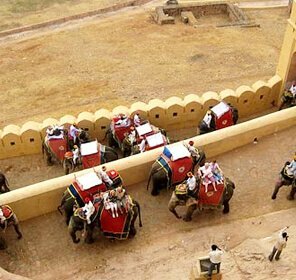 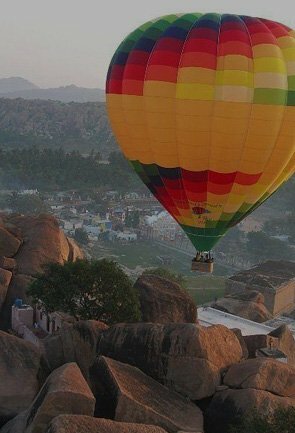 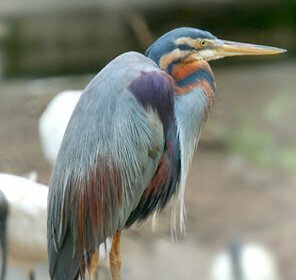 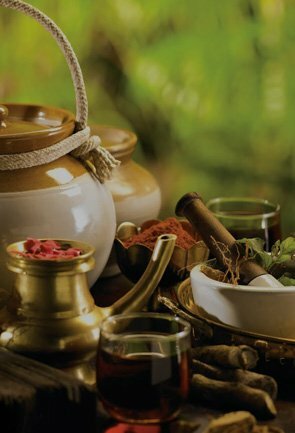 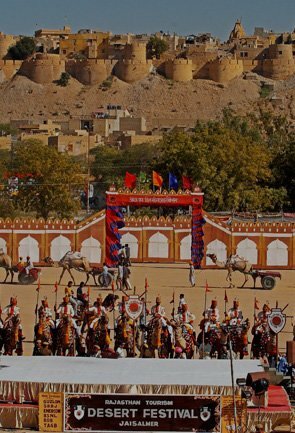 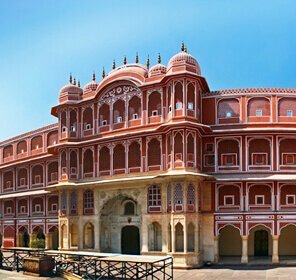 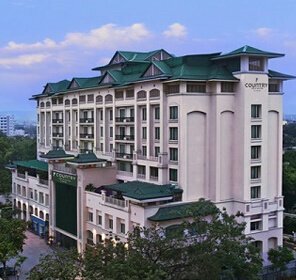 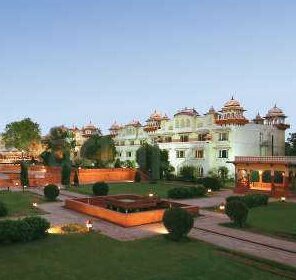 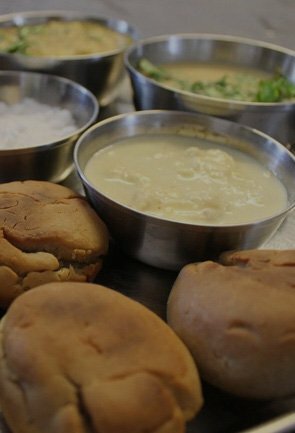 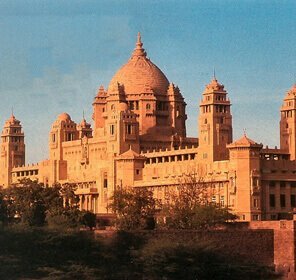 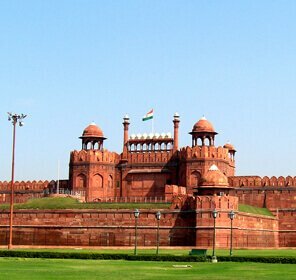 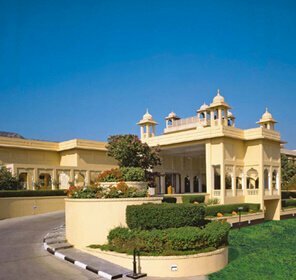 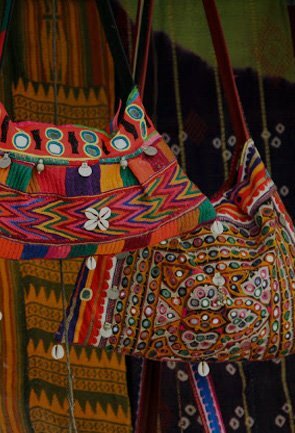 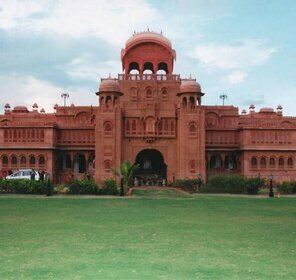 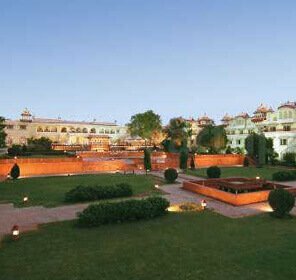 Situated at a distance of 11 km from the city, it carries the pride of Jaipur. 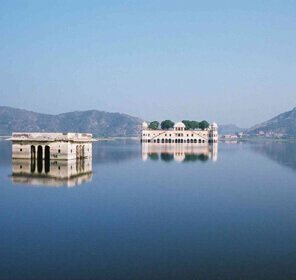 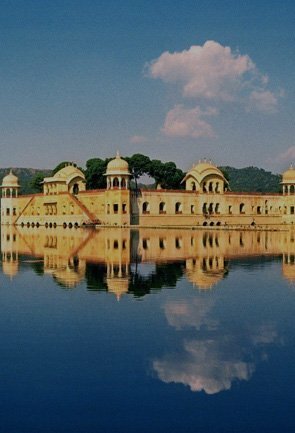 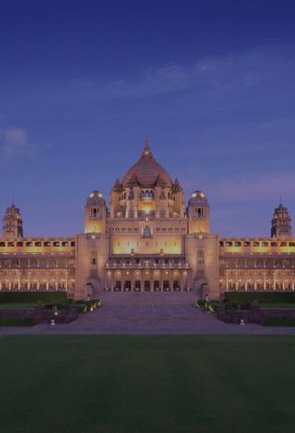 Set amidst the hills and overlooking the Maota Lake, Amer Palace is the finest example of Indo-Islamic architecture. 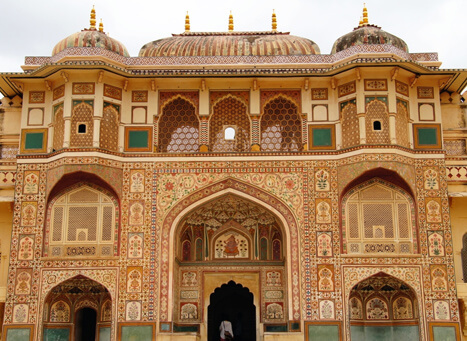 Within the vicinity of the Amber fort there are 4 courtyards. 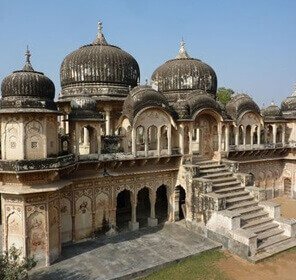 There are various other buildings within these courtyards i.e., Palace of Man Singh I, Garden, Tripolia gate, Lion gate, Diwan-I-Aam, Sheesh Mahal, Sukh Mahal, etc. 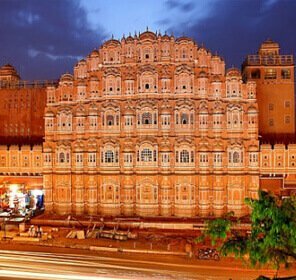 Jaipur trip is incomplete without visiting the light show at this grand fort. 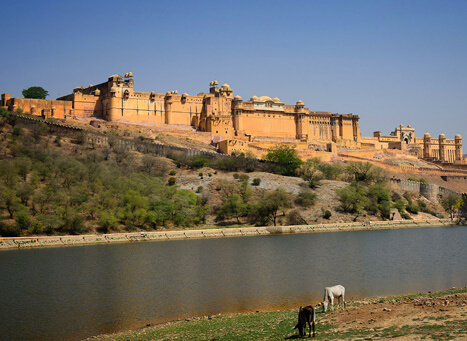 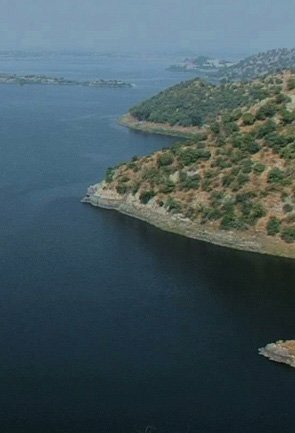 Since the Amer Palace is located on hills it is advisable to take a jeep or elephant ride to reach there.